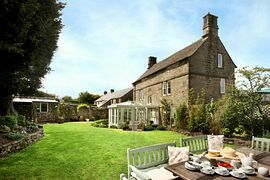 Whether there are 6 or 14 of you, at Elton Old Hall c1668 you can enjoy your own country house exclusively. 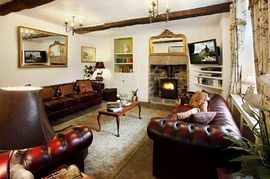 Elton Old Hall c1668 is the 5 star accredited, Grade II listed, historic holiday house - manor of Elton - Small Village of the Year (2004, 2007) in Derbyshire Peak District, for luxury self catering vacation rental with friends and family. � Contemporary 5 star accredited Grade II listed Derbyshire Hall. � Choice of experienced caterers, visiting beauty therapists, food delivery and custom activities. � Local CAMRA pubs, Michelin gastro pub, nostalgic tearooms. 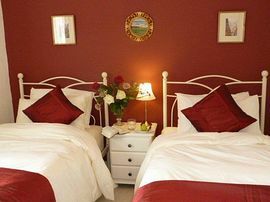 5 STAR, Welcome To Excellence, Green Tourism, Visit Peak District & Derbyshire Silver Partner, Peak District Environmental Quality Mark. 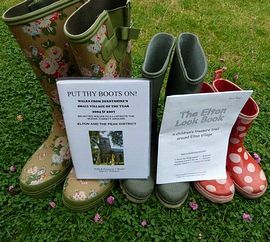 16 Elton Walks from your doorstep (Lathkill Dale, Bakewell, Haddon Hall) with guide by prior arrangement. Haddon Hall, Chatsworth House, Bolsover Castle, Bakewell, Buxton, Matlock, Castleton Caves, Gullivers Kingdom, Alton Towers, Go Ape. White Peak walking trail and Tissington cycling trail (cycle hire & delivery to Elton Old Hall). 5 star Grade II listed Derbyshire Hall. 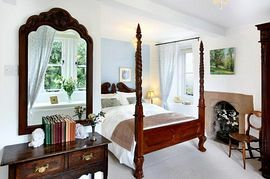 Sleeps 14 in six sumptuous bedrooms. M1 J28 or J29 then 25 minutes.